Weirdly, this month's box was black. 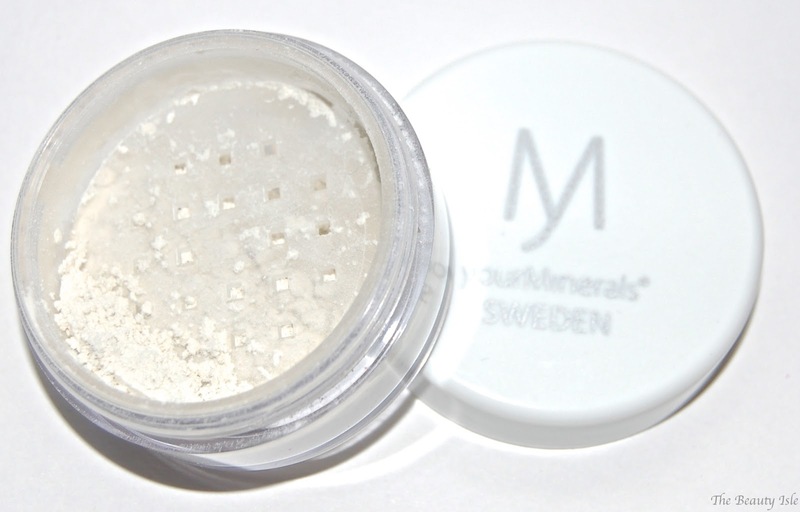 This is a transparent setting powder. Although it's transparent, it's actually pretty brightening. I tried this on my under eyes and so far I like it. This is a leave-in spray that is supposed to leave your hair smooth, frizz-free, shiny, strong, and healthier with each use. I've used this a few times now and haven't noticed much of an improvement in my hair. At this point I've received a bunch of Ofra pencils (mostly eyeliners) in my beauty subscription boxes. I wish that I'd stop receiving them because I find them to be dry and not the best quality pencils. I would be thrilled though if we'd get some of Ofra's brand new liquid lipsticks in a future box! I love slanted brushes like this for blush application. I only have one other one so I'm thrilled that I received this in my Boxycharm Box! This mascara will be available in the US through Boxycharm at the end of July. It's supposed to be highly pigmented and volumizing. Many Boxycharm subscribers have been complaining that the mascara is really dry, and I noticed that too. In an effort to resolve this issue, Boxycharm sent me instructions to share with my readers on how to "prime" the mascara. It's necessary to "prime" the mascara because MDM uses a special packaging design that prevents air from getting into the tube. 1. Take the wand completely out of the tube. 2. Re-insert the wand fully and close the tube. Shake the closed mascara for 10 seconds. 3. 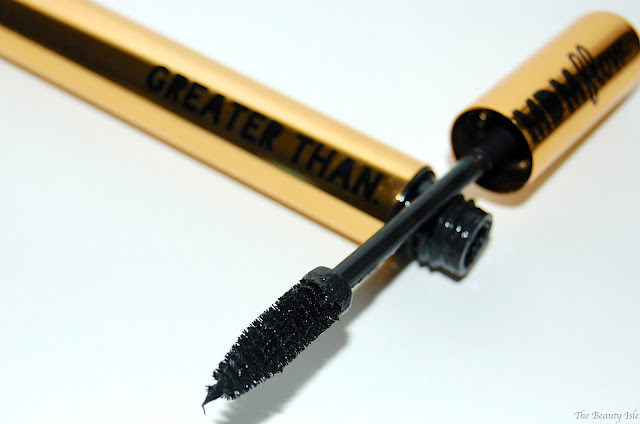 Unscrew the cap and "pump" the mascara a minimum of 10 times. After performing the above steps, I noticed that my mascara was MUCH less dry and did a better job of coating my lashes. However, I've since used the mascara about 3 times and while it's a good mascara, I don't feel that it's worth $35. 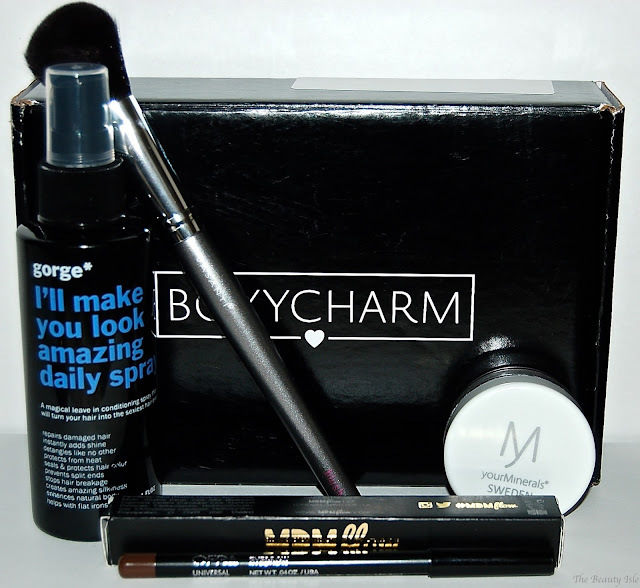 Overall I think that this was an ok Boxycharm Box this month. I LOVE the blush brush and I'll definitely use the setting powder. Each Boxycharm Box costs $21, shipping is free, and you can cancel your subscription at any time. As you can see, I received 5 full size items in this month's box. The retail value of this box is $133, that's 6 times the cost of the box!